A classic pot roast is a must in every mom’s recipe collection. This Slow Cooker Low Carb Pot Roast is perfect for the keto-diet and has tons of umami flavor to satisfy any picky eater. My family loves pot roast. It’s such a yummy filling comfort food. 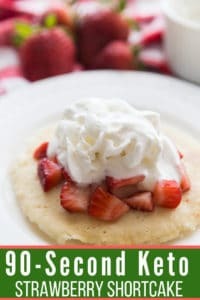 Since I stay home with our 4 kids, slow cooker recipes that I can start in the morning and forget about the rest of the day are my favorite. 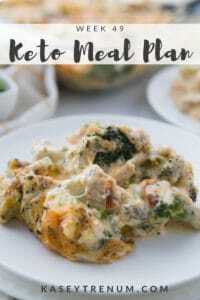 I’ve seen similar recipes and various adaptions to this pot roast online but wanted to try and figure out the most flavorful version that was keto friendly. The verdict is in! 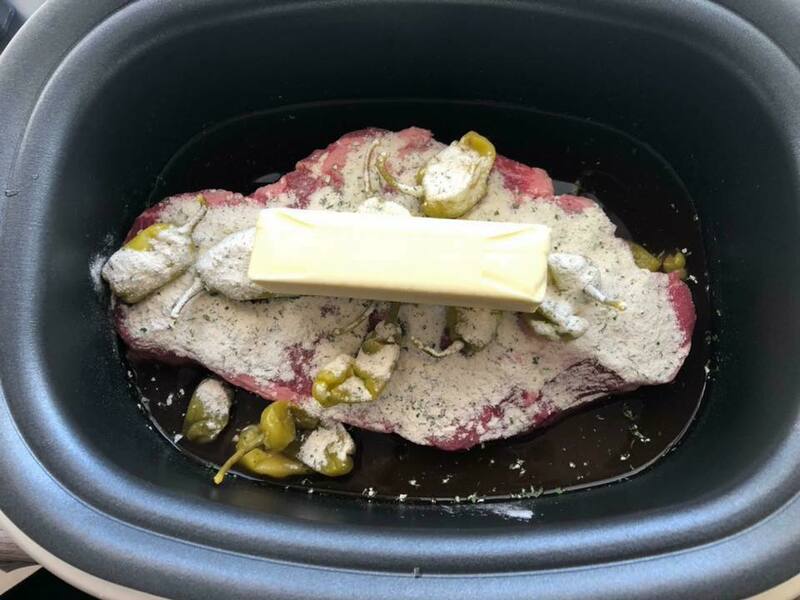 My family loved this Keto Pot Roast so much that we enjoy it often. 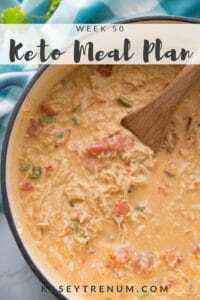 It’s so easy to make, you simply dump all of the ingredients in the slow cooker and turn it on. Cook on low for 8-9 hours or high for 4-5 hours. I used to sear the roast first in a cast iron skillet but skipped the step once due to time constraints and I could not tell a difference at all. The roast was still every bit as flavorful and tender, so now I don’t bother with searing it. I love to make Southern Green Beans and Cauliflower Mac N Cheese as side dishes when I make Keto Pot Roast. It reminds me of Sunday lunch at my grandmother’s house when I was a child, which feels like comfort food. 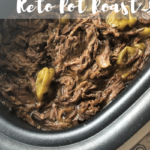 If you prefer to cook your roast in the Instant Pot, here are Instant Pot Keto Roast cooking instructions. A classic pot roast is a must in every mom's recipe collection. 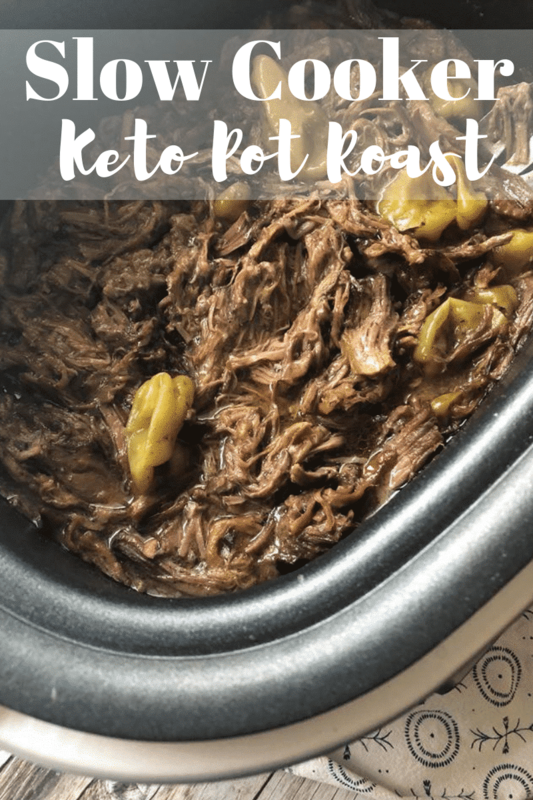 This Slow Cooker Low Carb Pot Roast is perfect for the keto-diet and has tons of umami flavor to satisfy any picky eater. Cook on low 8-9 hours or high 4-5 hours. You can sear the roast first, but after experimenting both ways, I can't tell the difference in the flavor, so I skip searing it now to save time. I know you are going to love easy low carb pot roast recipe. 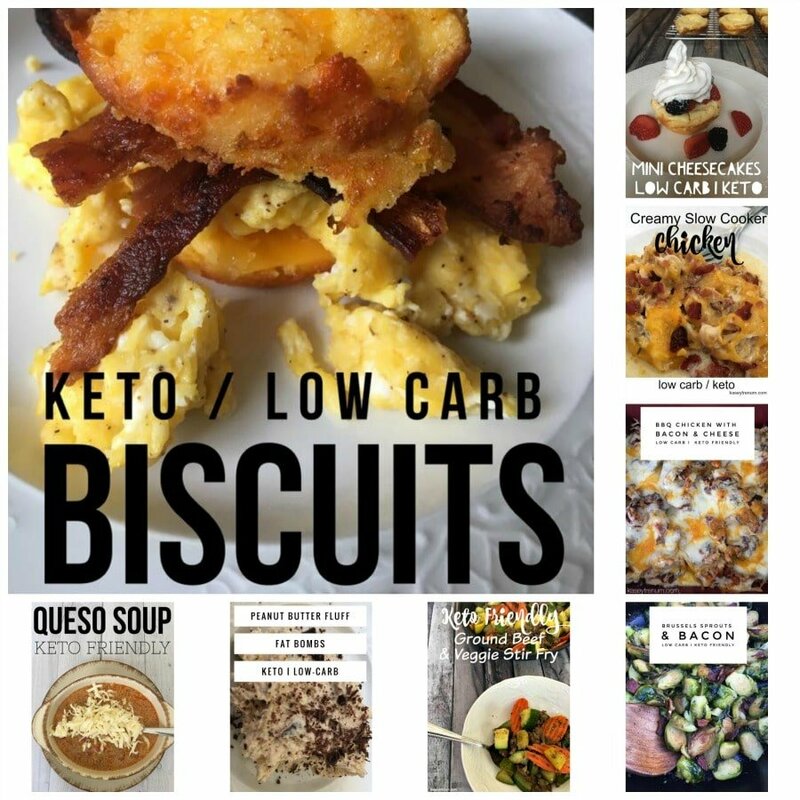 Along with this, make sure you check out all of our family favorite keto comfort foods found in my Keto Recipe Index. Check out the complete index, or start with a few more of our personal favorites linked below! I didn’t measure the portion size I just divided into equal servings. How many servings does it make??? It depends on what size Roast you use. What size did you use for the nutritional information? I don’t remember the exact size of that pot roast as I’ve made it several times since. 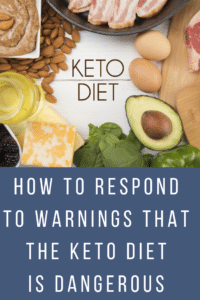 Hi, Just starting a keto diet and stumbled across your site (thank goodness). I’m finding it’s a bit overwhelming at first and your recipes are helping me a lot. How many people does this pot roast serve? Am I missing it? Thanks! I’m so glad that my recipes are helpful. It will vary based on the size of the roast. Blessings! That will depend on the cut of meat you are using and how you divide it into servings. Since so much of the butter melts into the juice it is really impossible for me to calculate the macros. You would need to calculate your own on this recipe. Hi i see that you fast for breakfast so what time do you eat lunch an do u fast same time every week or you change up an eat breakfast an fast for lunch ?? I fast breakfast mainly because it is just easier with 4 kids. As far as lunch goes, I eat whenever I have a few minutes to grab something. I am not rigid and don’t follow a time schedule to eat. I usually only eat breakfast on Saturday mornings. Can this be converted into an instant pot? I always make it in the IP. Did it turn out ok? I tried it before and it turned out so badly. How did you cook yours in the IP? Can’t wait to try your recipes, sounds great and healthy. Thanks so much! What kind of roast do you use? Usually whatever is on sale or a chuck roast. This is amazing!!! I use jalapeño peppers and it is fantastic. I add more broth to make more liquid because it’s so yummy I could drink it. Lol I’ve made this a few times and will make it many more! Thank you!! I’m making the slow cooker pot roast today. Somewhere I saw it made as a sandwich with cheese as a leftover and of course now I can’t find it. Do you have that recipe? Thank you!! Sure! 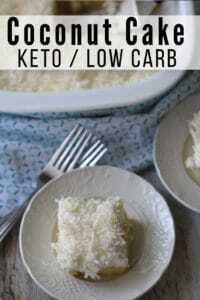 I use this bread recipe then add the roast and provolone cheese. This was delicious! I made it exactly as the recipe is stated. I may have added a few extra peppers. I especially enjoyed this style of pot roast because it has different flavors than a typical pot roast and a little bit of kick. I also made the cauliflower mac & cheese and it was amazing! Awesome! I’m so glad you loved it. Thank you so very much for taking the time to comment. I serve this with cauliflower rice! Yummy! to leave it out? Sorry, I am a newbie!!! I’ve only tried it as is. Sorry, not sure how it would turn out without it. Did the papers make the pot roast spicy? No. I don’t like spicy foods at all. That will depend on the exact roast you get and the ingredients you use. This is one that it really is impossible to give an accurate macro count. Could you try this with a deer roast? Would it need to be prepared differently? Great recipe! Prepared it many times with a chuck roast! Family loves it! You could give it a try. I’ve never cooked any kind of deer meat so I’m not sure.